Think back to the moment you decided to go into business for yourself. How did you feel? Excited? Nervous? A little of both? Did you have a creative outburst and pour your heart and soul into your business from the beginning? As time goes by, and excitement makes way for routine, a vision plan will help you recapture the passion that got you started in the first place. Create a clear image of exactly what you want to achieve. This isn’t something esoteric. Simply imagine a tangible target and write it down. Your vision may be a financial goal, a personal acquisition, business expansion, or anything else your heart desires. It’s about you and your loved ones. Contribute time and effort everyday to achieving your vision. A large challenge is more easily digested when you chop it up into little bite size morsels. Now that you’ve got something well defined to aim for, start taking the appropriate steps to reach your goal. Think of your vision like the rocky peak of a sky-high mountain. Would you try to climb to the top in one day? One year? Your milestones are your checkpoints as you scale your way to the summit. After you’ve written down your milestones, your vision plan starts to come into focus. What before had only form, has now taken on structure. Your vision plan is about personal inspiration, it’s not a business report. Look to pictures or evensongs for inspiration. Let your vision be pragmatic but also strive to feel your vision in the emotional centers of your brain. A clear vision should tug at your core, driving you forward with resolve. Harness that determination and fill in the gaps between the milestones you’ve set. Chop up your plan into monthly mini-goals and then further into daily and weekly action items. If you feel a part of your daily schedule is interfering with realizing your vision plan, cut it out. Look for fresh ways to become more efficient in reaching your milestones. Make a commitment to yourself and begin to effect changes in your daily life to make your vision a reality. Let your vision plan be your map in the territory of accomplishment and consult it everyday. If you were a pirate hunting buried treasure, would you look at your map one time and then discard it, hoping for the best? Don’t make the mistake of tossing your vision plan into a cluttered desk in your drawer and then neglecting it. Roadblocks are inevitable on any road to success. You’ll experience feelings of fatigue and disheartenment. Keep in mind that anything worth doing doesn’t come easily. Your vision plan should be your ally and your muse. It should also be somewhat demanding. If you’re not feeling motivated, consult your map and remember the commitment you made to yourself and your plan. Don’t let your vision plan down. After all, it’s a reflection of your dreams and ideals. Making a personal vision plan is not just a fun way to systemize your thoughts. It’s a powerful inspirational and organizational tool that pushes you face first toward success. It reminds you of why you became an entrepreneur and keeps your passion burning like a never-ending candle. Get started on your vision plan today and don’t look back. Over the years I have read business books voraciously. And every now and then one comes along that I find particularly useful. 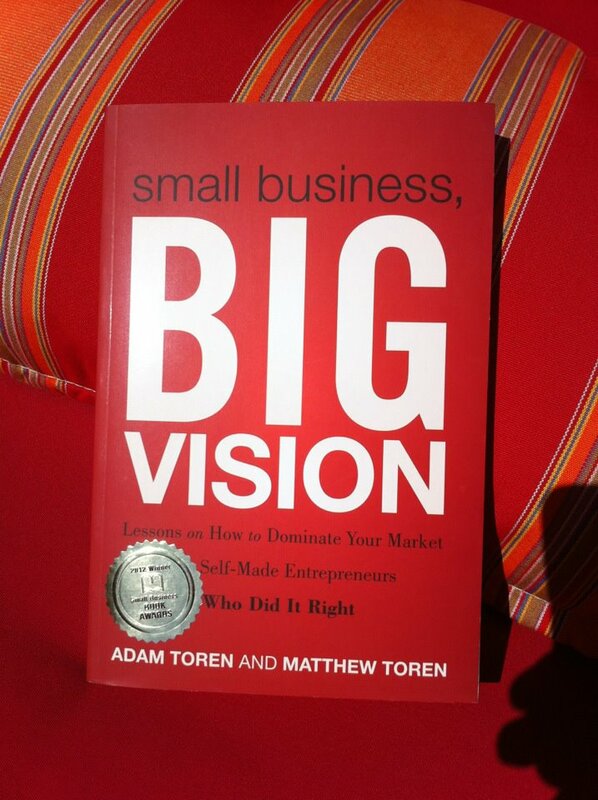 That’s certainly the case with Small Business, Big Vision: Lessons on How to Dominate Your Market from Self-Made Entrepreneurs by Adam and Matthew Toren. So what is it that makes this book a powerful? Many of you know me as a leadership resource and I’m sure you imagine that I sit in soft chairs all day and tell other people lofty ideas about themselves. Here’s the part you may not know: That leadership role is very recent. I came up the hard way and learned business in the trenches. From there, I expanded into the natural space of coaching which always seemed so familiar to me. So, when I look at a business book I want to know that the entire breadth of business acumen is nested in what I’m reading. I look to see an appreciation of both the ‘nuts and bolts’ of business as well as the personal development that I know is the driver of good outcomes. I am sure you have all heard the saying “follow your bliss, but don’t forget to tether the camel.” For many years I toiled at the task of tethering camels. 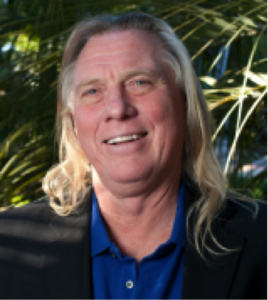 I was a merger/acquisition specialist as well as an executive manager of many companies. I learned my leadership style by working like a donkey. I must confess, and I’m sure this comes as no surprise, that I respect the basic hard work of building a company. When I read Small Business, Big Vision, my expectation was that it would be heavy on vision and light on the hard-core execution pieces necessary to get the job done. Every now and then someone pays attention to the whole symphony of entrepreneurial music. I would be shortchanging my commentary on this book if I didn’t tell you that it delivers something even more. Adam and Matthew have actually figured out a way to not only cover the two major drivers of business, but to place them in today’s environment. Yes, they start with the necessity of a big vision. And they cover the development of a business plan, accumulating investors, hiring good employees, and even the need for social media. Certainly a book worth the read for just those pieces. But my excitement really rose when I came to the chapter about socially responsible entrepreneurs. For here they had put their finger on the new wave of business today. It has always been my opinion that leadership is being pulled into the space of personal development as a result of the demand of our newest generations. New, young leaders have looked at the old corporate paradigm and come to an astounding conclusion: The corporate wingspan is not wide enough and does not benefit a large enough portion of the community from which they come. These new leaders are courageous enough to stand and say “I will not work where I am not nourished,” and nourishment to this crew means thrusting your ego aside, forgetting who gets credit, and creating the gratitude of seeing a world much bigger than themselves benefited. My job is to bring this kind of awareness to larger corporations that now see that they must provide personal leadership development in order to keep the best leaders. But I will never forget my roots and I am gratified to see that someone is taking care of the small business and entrepreneurial market. For the best way to have a great business is to start with great basics. 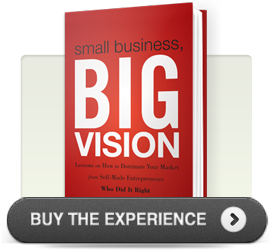 Small Business, Big Vision gives a blueprint to the new generation of entrepreneurs that will allow them to hold a possibility much bigger than the normal book about business plans. My book Awakened Leadership describes the personal journey and its relationship to business building. In every generation the story of how to build a business must be told in both the language and the wingspan of that very group. Adam and Matthew have done a great job of giving us the current version of the entrepreneurial story. In my mind it is a wonderful companion to my leadership story. 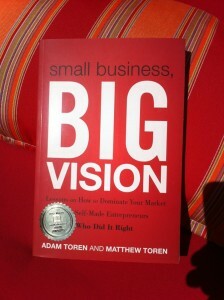 If you’re curious to learn more about Adam and Matthew Toren, please visit their site http://www.blogtrepreneur.com/.